Blackwater Valley Runners (BVR) are helping the Aldershot community reach their 25,000 mile target in the ‘Beat the Street’ challenge. 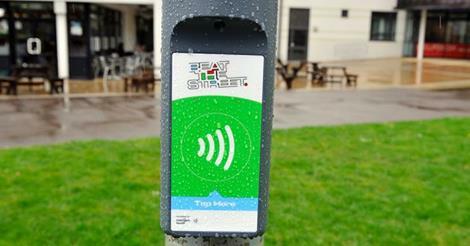 Alongside many local schools, leisure centres and other organisations, BVR have entered as a team and will be pounding the streets night and day. As well as taking to the roads of Aldershot individually, the club is planning to check in at as many different boxes as they can squeeze in by incorporating it with their club runs on a Wednesday night. Teams of varying abilities will head out for their usual run, taking in the sights of the town and picking up as many points as possible along the way. The scheme has been designed to encourage and inspire communities to walk to school, to work and to the shops rather than by car. It will run from 2nd March until 31st March 2015 and anyone living or working in Aldershot will be eligible to take part. A player taps their RFID card or key fob at various points on their way to and from work, school and to the shops and tracks their progress online. There are two team prizes up for grabs, one for total points scored and one for the highest average points per team member. BVR are only in the competition for fun and don’t want to be considered for either prize. If you would like to enter as part of the BVR team, you can collect your free card from the Connaught Leisure Centre or Aldershot Library. Once you’ve got it, you’ll need to register on the BTS website. Make sure you put Blackwater Valley Running Club down as your team (it’s under ‘others’). At the end of the month (Saturday 28th March) BVR will be organising a fun run where everyone can get points for their teams. This will be one of the last chances for the Aldershot community to reach the 25,000 mile target and raise £1000 for the Parkside Charity. Details of the fun run will be posted on the BVR and Beat the Street web sites.